Okay, so here's the inventory that I'm parting with. Not sure there's any gems, but I'll leave that for you to decide. Most will probably appeal more to completest collectors who are missing some older figures from their collection. 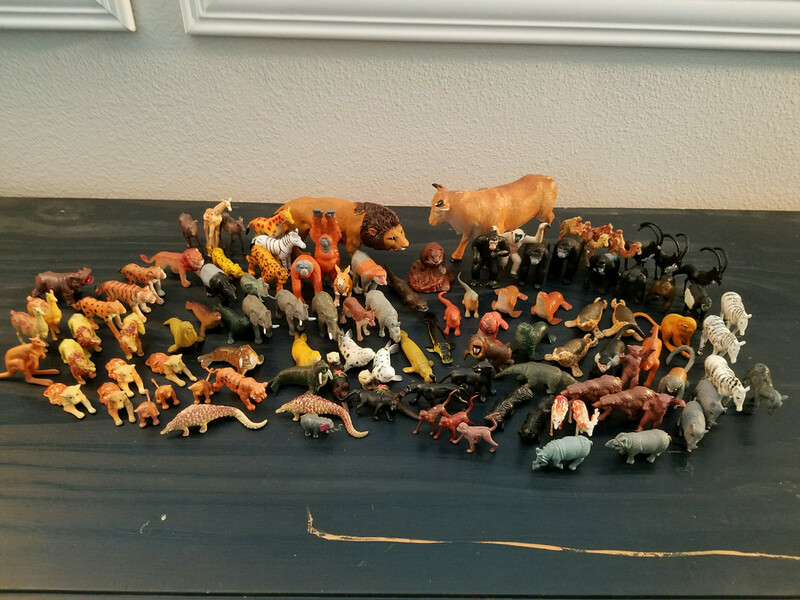 There's also some unusual/random extant animal figure lots. If there's something in particular you want from a lot I can pull it for you. All figures are in good condition except where otherwise noted. They are usually oriented to show their "bad side", if they have one. I can provide more photos if requested. I can ship internationally. Buyer pays shipping. Paypal is accepted, but not preferred. I'm more than happy to offer combined deals. I'm also accepting trades (see the bottom of this post for what I'm looking for . Prices are in USD and are completely negotiable. 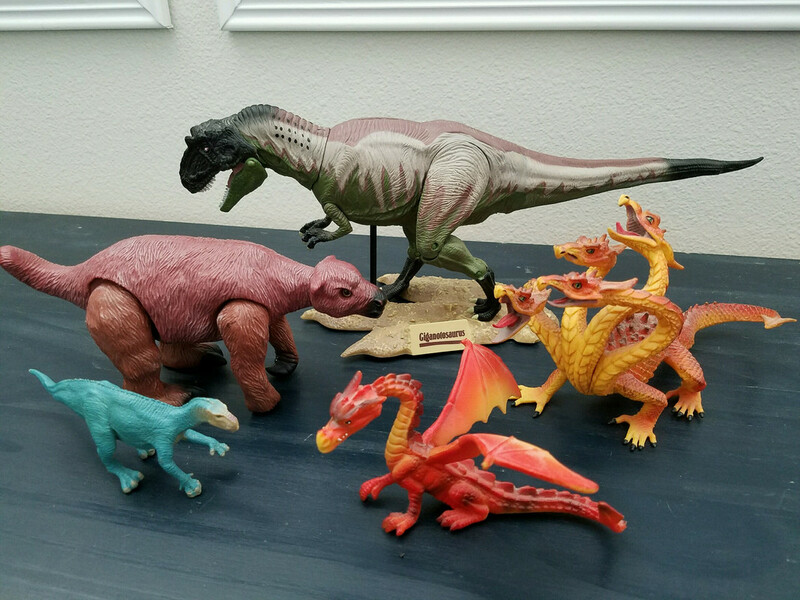 - Anniversary Tyrannosaurus $15 - various minor paint scuffs on snout, tail, and limbs. seems to be common with this figure. 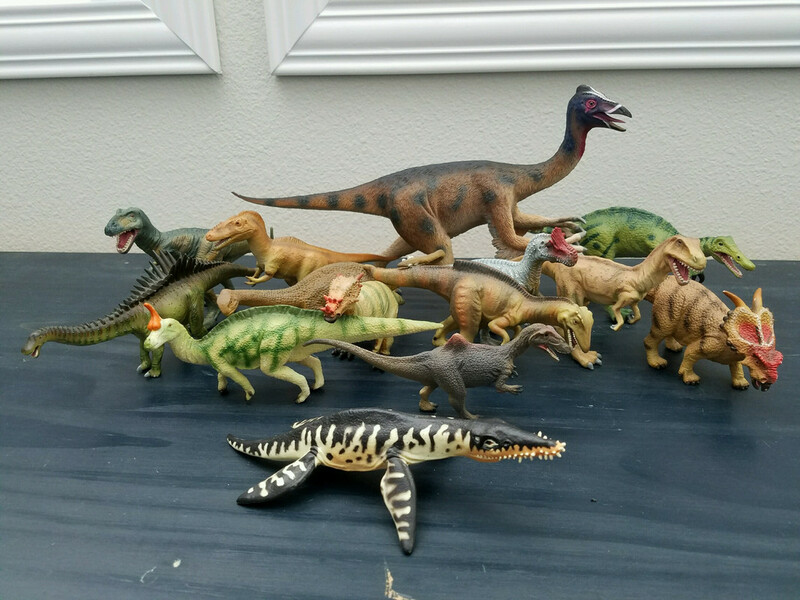 - Standard Baryonyx $4 - labelled "Procon"
- Cryolophosaurus $4 - labelled "Procon"
- Standard Neovenator $4 - labelled "Procon"
- Standard Augustinia $4 - labelled "Procon"
- Shunosaurus $4 - labelled "Procon"
- Eustreptospondylus $4 - labelled "Procon"
- Spinosaurus $10 - has a bad case of "the sticky". If you know a way to wash this off I'll do it for you. Otherwise, good repaint option. 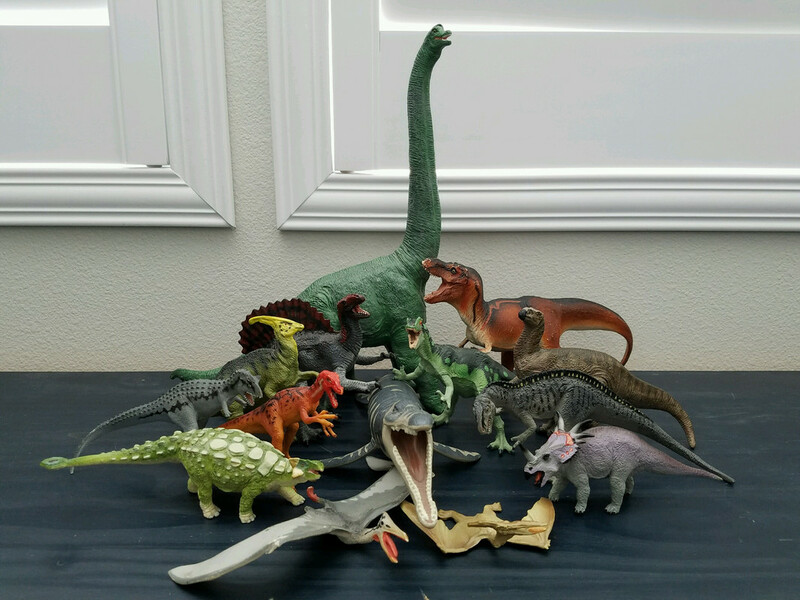 - Resaurus Giganotosaurus Action Figure $50 - haven't seen these offered in a ling time! A few very minor scuffs. Has trouble standing even with support rod, but that seems to be the norm for this figure. 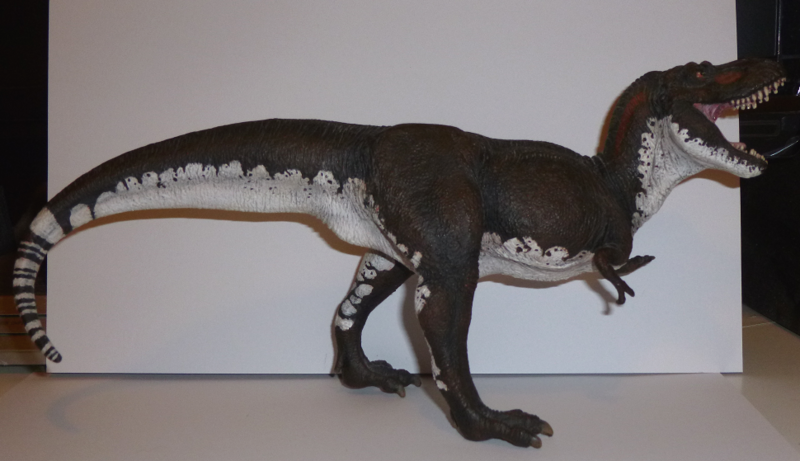 - Disney's Dinosaur Iguanodon $5 - originally a cake topper, actually a nicely detailed figure! 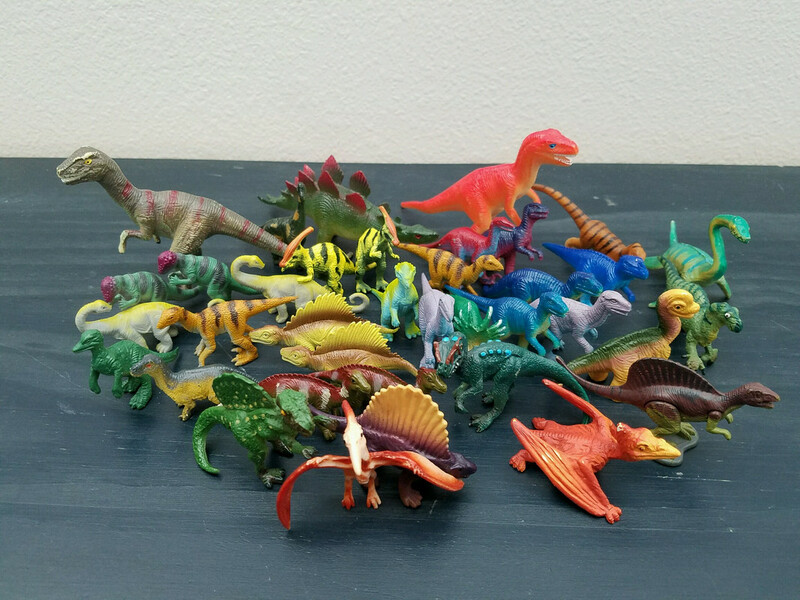 Includes some old Safari minis, Micro Machines Spinosaurus, a Jasman Velociraptor (various scuffs), and various others. Most in very good condition. Various. Many K&M primates and others. 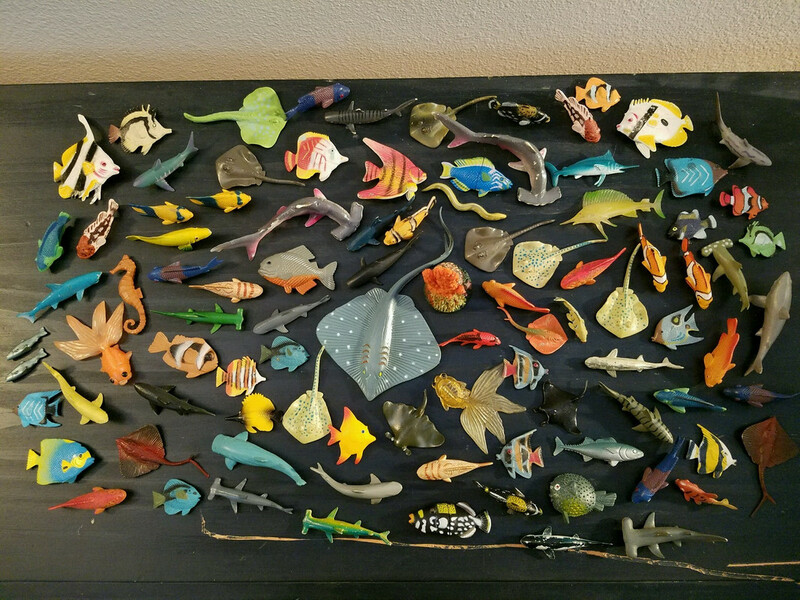 A large selection of hard plastic species of an unknown brand. Not sure who makes the big lion and bull, they are hollow but hard. Most in good condition. Various. Some PV knockoffs. Some genuine Safari. Most in good condition. Not sure who makes the mid-size Orcas, Blue Whales, Right Whale, and baby Sperm Whales (that's what they're labelled). The large Beluga, Orca, Bottlenose Dolphin, and Commerson's Dolphin are made by PV. They have various paint rubs, the Beluga and Bottlenose have it worst. 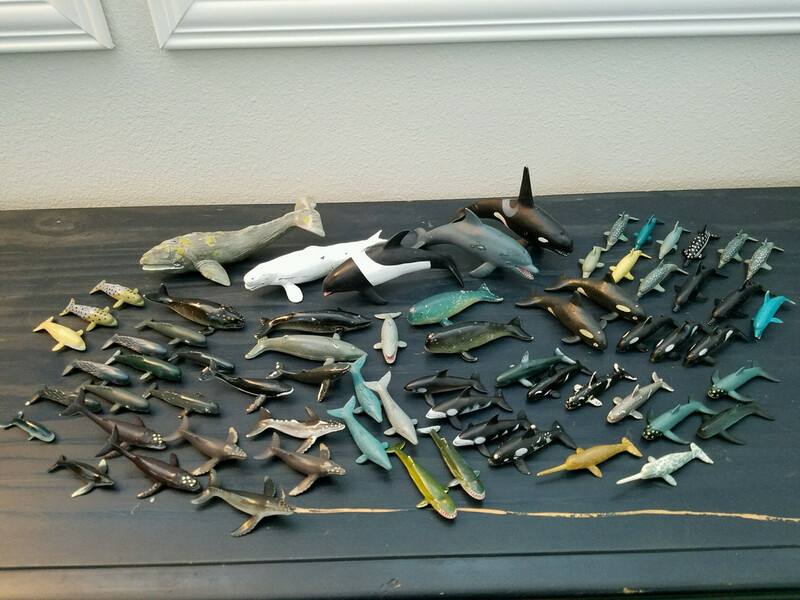 The large Gray Whale is labeled 1:75 scale, but no maker. Might have been some sort of Sea World Exclusive. It's in good condition. Squirt toy clown fish, including a second smaller one not pictured. In good condition. Four rubbery sharks. Several small squirt-toy goldfish and koi. Mom and baby Great White sharks, have a few scuffs. Assorted other smaller sharks, rays, and fish. Lots of K&M, some PV magnets and knockoffs, most in good condition. 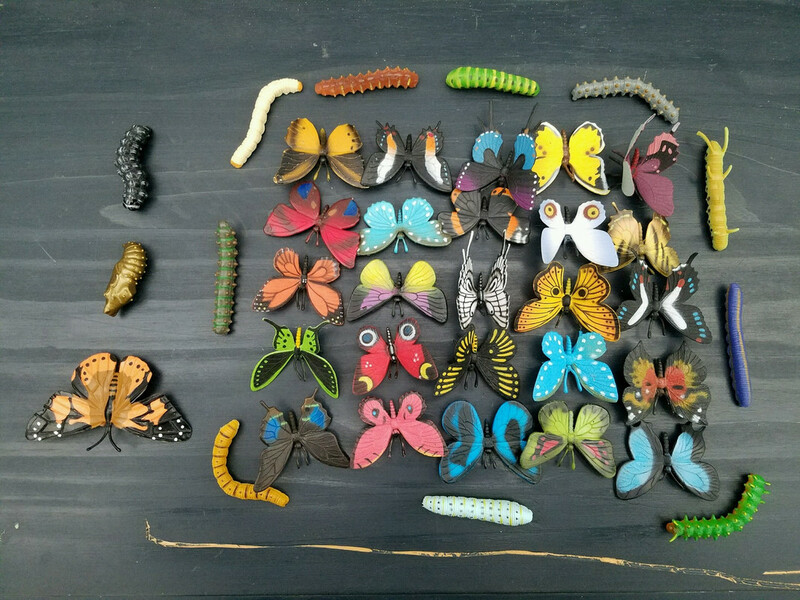 Various butterflies of unknown makers. Two different plastic types, but obviously still based on the same mold. PV caterpillars or knockoffs. Butterfly life cycle. All in good condition. Squirt-toy octopus. Large sparkly jewel beetle. Two or three PV or knockoff spiders. 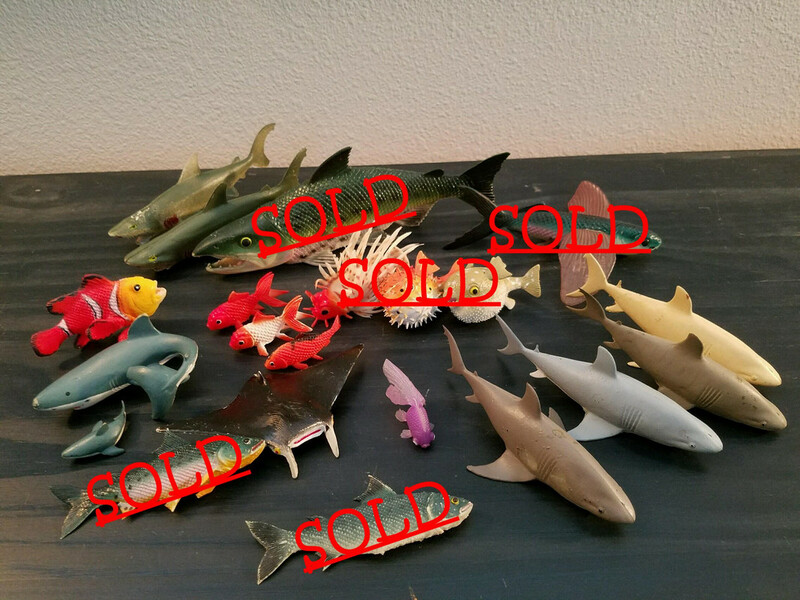 Various K&M sea critters. One Star Wars II centipede thing. 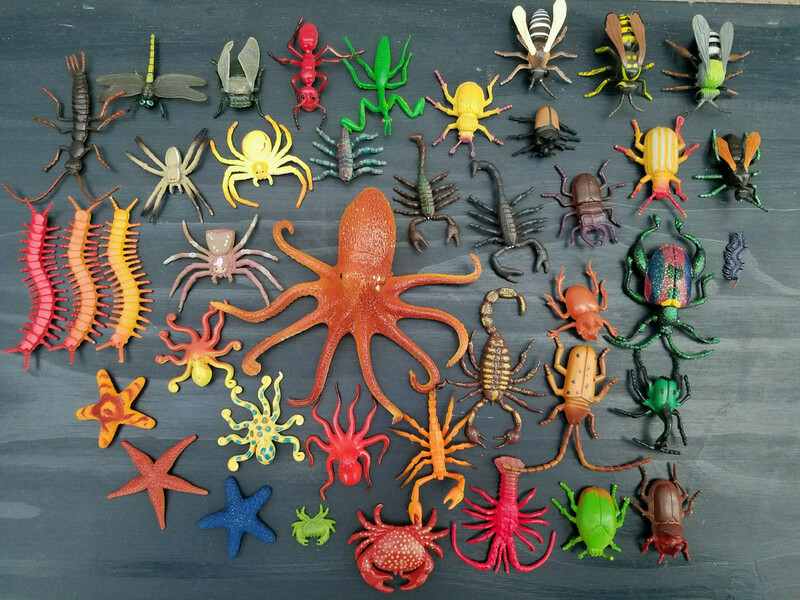 Assorted other inverts, most in good condition (one scorpion is missing its tail). Also, four PV wasps/bees. Paint is in good condition, but all are missing portions of limbs or antennae or both. I have a huge selection if legos I'm getting rid of. Lots of Bionicle and Star Wars sets, but also various dinosaur related sets. Most are dissembled and mixed, but if there's a specific piece (mask, armor, weapon, etc.) you're looking for, just let me know and we can work something out. For smaller sets, I might be willing to try and find all the pieces. I'll also give away assorted lego "goody bags" for $5 each. You said you would post what trades you were looking for at the bottom of your post but I see none. I am interested in the chinasaur Megalosaurus but only as a trade. If you're interested in any of my trades let me know, there is a link to my thread under my signature. I would like to trade for that as well. PM'd both of you and I've added my want list. Sorry that took so long! Go for it, I got nothing. Lowered again and changed title. Remember, I'll hear all offers! Prices lowered & rules slightly changed . See first post. I am selling a full set of mint Battats with tags, and much more. Check my posting under "Battat, Invicta, ROM, Carnegie for sale"
Btw do you have any AAA lizards? I saw that and I'm actually quite interested, but I'm going to wait for photos before I make an offer. Sorry about that, I've just heard too many horror stories about people's accounts getting hijacked and stuff. 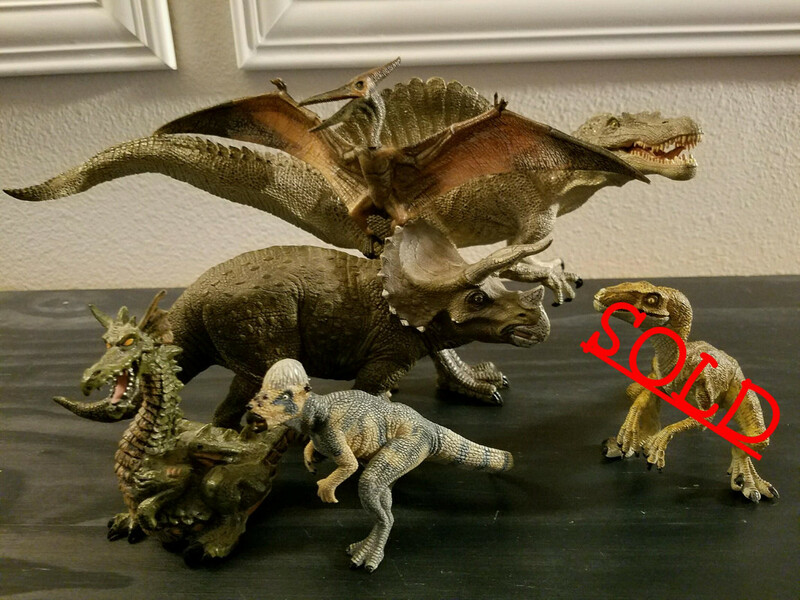 Anyway, I do have a few AAA lizards, but none that are for sale, or are you offering a trade for the elasmo? Nah, I was just wondering really Out of curiosity, which AAA lizards do you own? They're a big interest of mine, collecting wise. I have the large Green Water Dragon, the brown gecko, and a smaller agamid lizard I've been meaning to post photos of. Out of their other animals I also have a large Green Snake, a large eel, and a Tree Boa that I think was made by them. Updated, about half of the JP items are gone! 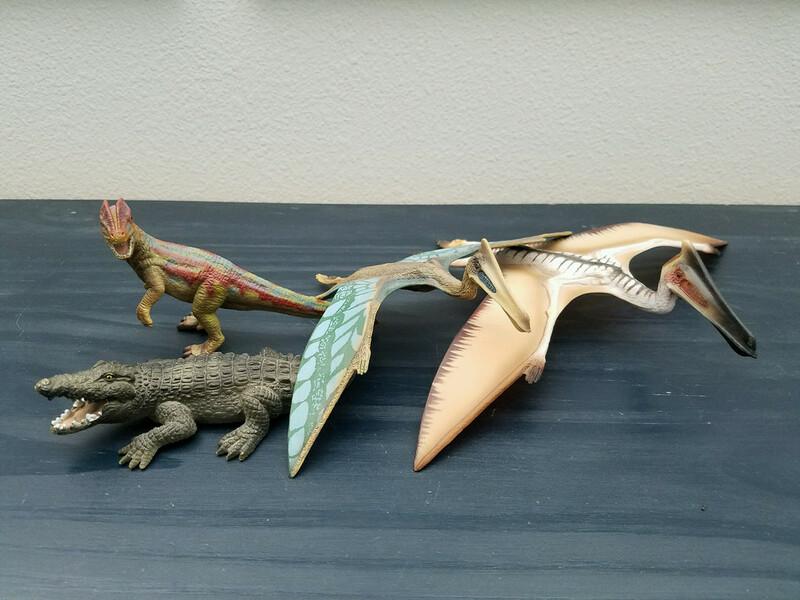 JP raptors and pterosaurs are now being sold as seperate lots on ebay. 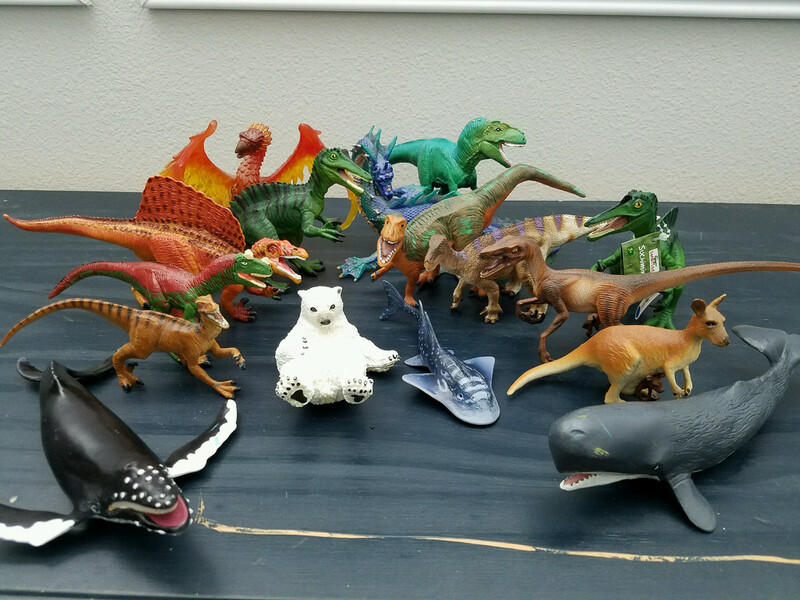 All chinasaurs and JP toys have been sold!!! IT'S ALIVE!!!!1!! See first post for major update.